Bebe Cool (born 1 September 1977) (real name Moses Sali) is a top African Reggea and ragga musician from Uganda. He started his career around 1997 in Nairobi, Kenya, but a few years later he moved back to his native country. Bebe Cool was one of the first artists affiliated with Ogopa DJs, a production house and record label in Kenya. Two of his popular singles are "Fitina" and "Mambo Mingi". He also collaborated with Halima Namakula, a Ugandan veteran woman musician, on their crossover track "Sambagala". He has released two solo albums, Maisha and Senta. His lyrics are in Luganda, Swahili, and English. Bebe Cool is a three times winner of the Artist of The Year Award at the Prestigious HiPipo Music Awards and won several accolades at Pearl of Africa Music Awards (PAM Awards). He was nominated for the Kora All-African Awards in 2003 and 2005. He has toured in the UK and the US. Together with Kenyan duo Necessary Noize, Bebe Cool has formed a reggae group known as the East African Bashment Crew. They have released one album, Fire, and two hit singles, "Africa Unite" and "Fire". The group is nominated at the inaugural (2008) MTV Africa Music Awards. In January 2010 he was injured when a policeman shot at him. On 11 July 2010, Bebe Cool was performing at the Kyadondo Rugby Club when a bomb set by Somali Islamist terrorist group al-Shabaab exploded (July 2010 Kampala attacks). According to Cool, "Most people who died were just in front of me. The blast was so loud—the next thing I saw were body parts flying over." Bebe Cool performed Nelson Mandela 46664 concert at Hyde Park London and was also named the by Nelson Mandela as the 46664 African ambassador. 46664 is a campaign of raising awareness against HIV /AIDS that was initiated by the late Nelson Mandela. At the concert Bebe Cool put up a great live performance that is still memorable to millions of music fans across the globe. In 2012, Bebe Cool was voted Uganda’s greatest artist since Uganda's independence on 9 October 1962. A poll conducted was conducted by Kasuku media services all over Uganda as part of the event “Ugandan music at 50 years since independence” Bebe Cool polled the highest number of votes beating his bitter rivals. In 2014 Bebe Cool’s Born in Africa remix song was voted among Africa’s greatest songs of all time. The song came at number 15 in Fifty anthems for the African continent. BBC World Service listeners suggested the African songs that summed up the continent to them. This was to mark the 50th anniversary of the African Union – formerly the Organization of African Unity, From the suggestions, the BBC’s DJ Edu, who hosts a weekly African music show on BBC radio, compiled them into a special five-minute mix of 50 songs from 50 countries. Bebe Cool has performed in the Big Brother house twice. In 2013 Bebe Cool had a music battle with one of Nigeria's top artists D'banj in a neutral place Glamis Arena Harare Zimbabwe. The show was organized under the theme Battle for Africa Bebe Cool put up a great performance at the battle. 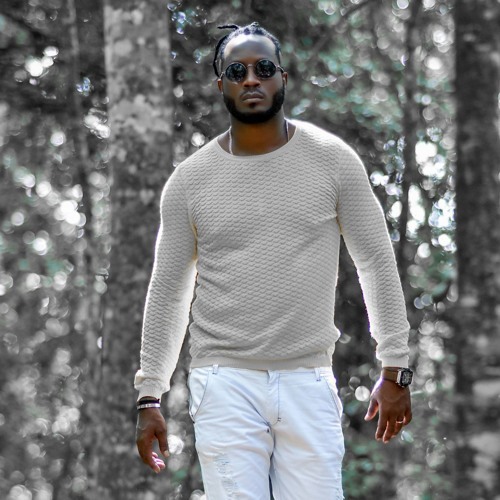 Bebe Cool is husband to model and former Miss Uganda contestant Zuena Kirema and is now a father of three; two sons and a daughter, Alpha Thierry, Beata and Caysan respectively.